GLOWORM GOLF LLC, and PORTABLE GOLF SOLUTIONS are partnered mobile golf companies designed to travel anywhere. 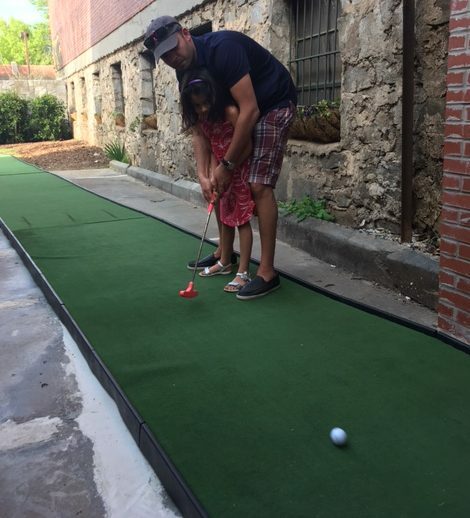 Choose from 1 or up to 36 Holes of Mini-Golf to fit your budget and needs. We do all the work with set-up/build, help with consulting/running your event(if needed), and tear down and load in a timely manner. 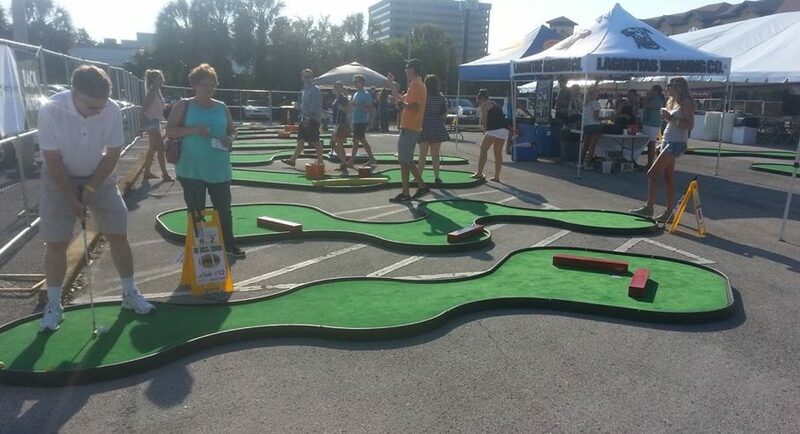 Along with this, we also have a huge 50′ putting green designed for special events needing a Hole In One Contest. 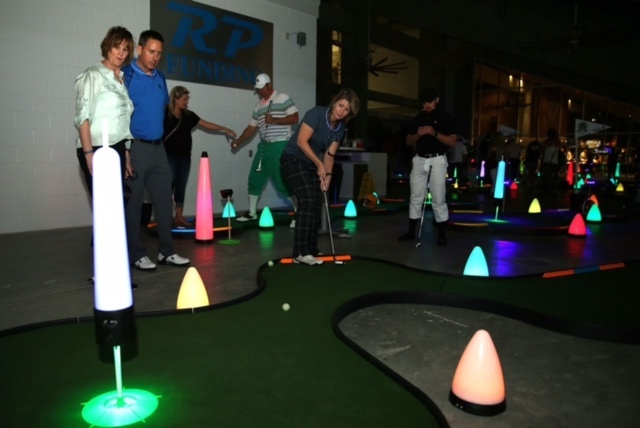 A glow-in-the-dark experience can be added to our Mini-Links course indoors with controlled lighting, or outdoors after dark to continue the event well in to the night. With remote controls, the color options of our Glow Gear equipment can change to match just about any theme. Companies and Businesses can even advertise names and logos on our Glow Gear for additional exposure. 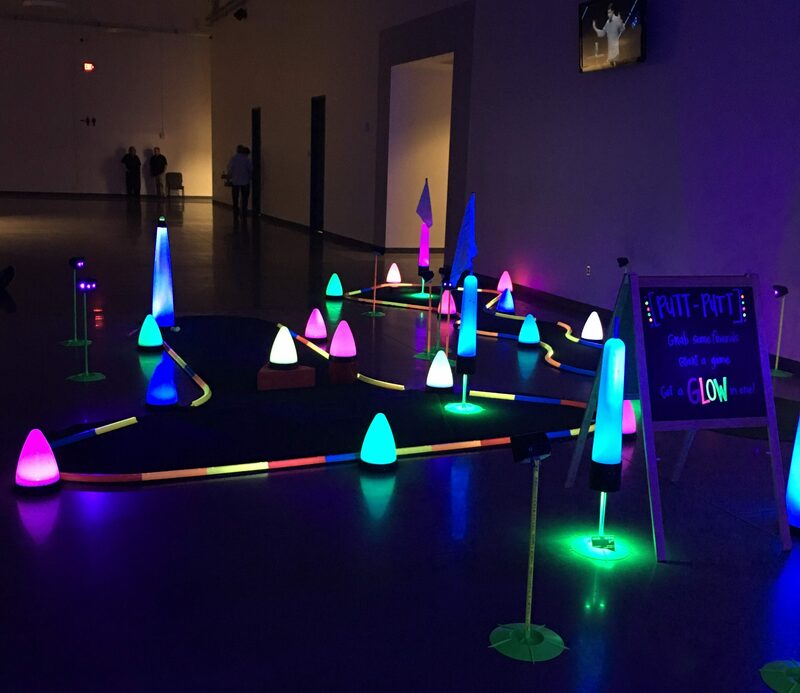 Our SOLID blacklight activated glow ball, or light activated LED multi-color ball is safe and can be used with ALL golf clubs. For Sports Training and Coaching, we do specialize but are NOT LIMITED to “Golf.” Our PGA and other Certified Professionals are here to begin training students from 4 years old and up. From our after school programs, group classes and camps, home-schooled kids, junior and adult lessons, to Fitness, Yoga classes, boot camps and more, you will benefit from utilizing our facility. 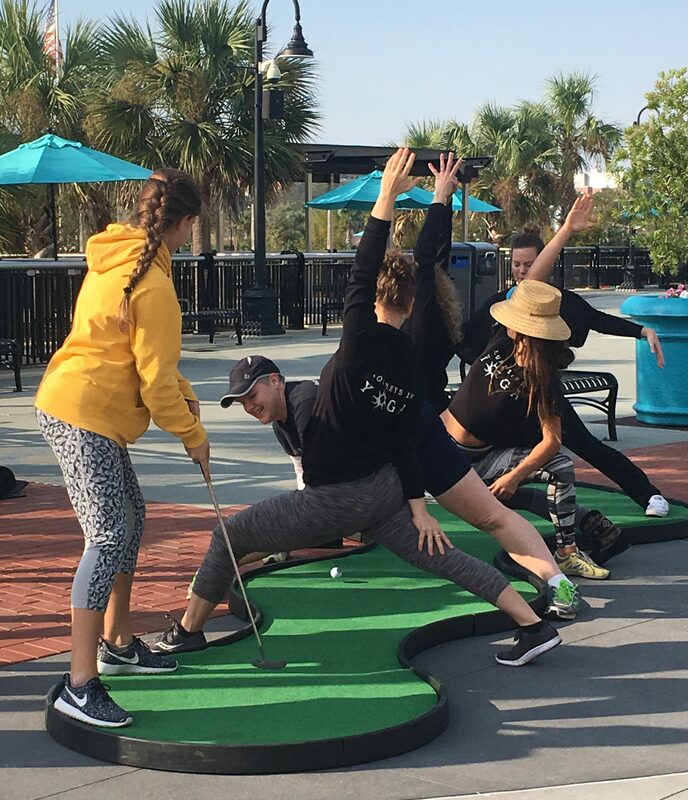 Play over 75 simulated golf courses, practice and learn all areas and fundamentals of the game, have contests with friends, or just get social and join a simulated golf league with other players. As mentioned, with our Multi-Sport equipment and options, OTHER SPORTS PROGRAMS such as Baseball/Softball, Basketball, Soccer, and more are also offered. DO YOU HAVE YOUR OWN PERSONAL COACH? Unlike other facilities, we invite and welcome both Coaches and Students in ALL sports to visit with us. Having the ability with our facility to teach regardless of outside weather conditions is a great alternative, and can be an added value to your specific sports program. Our Fitness Trainers can help with any Sports needed, and also have the ability to travel to you. Events where we can show proper stretching/warm up routines followed by the sports competition/event may be of value to those with need. Sports Coaches looking for a way to create events or training programs regardless of weather conditions now have an indoor facility to do so. For their students, we can help provide a different and unique way by having the ability to train all year long if needed. Our simulators can be rented by the hour, day, month, year, or more. All are available and portable if needed with the most current technology and are user friendly. Utilizing a touch screen, more than 15 different categories are accessed from the menu allowing for hours of entertainment, training, and competition. Whether your sports training program requires a package for small or large groups, we have up to 8 small and Full Size ready to play simulators available. Two different sizes of simulators are available to choose from. This gives the flexibility to fit our simulators in a wide range of space both residential and commercial. Not only are they available to rent, but can be purchased if needed. For any and all questions, please contact us anytime.